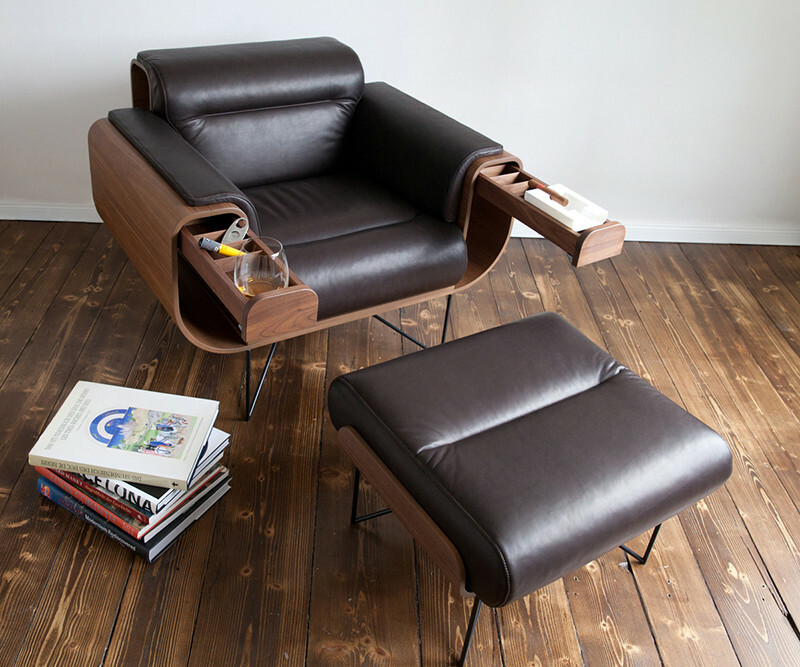 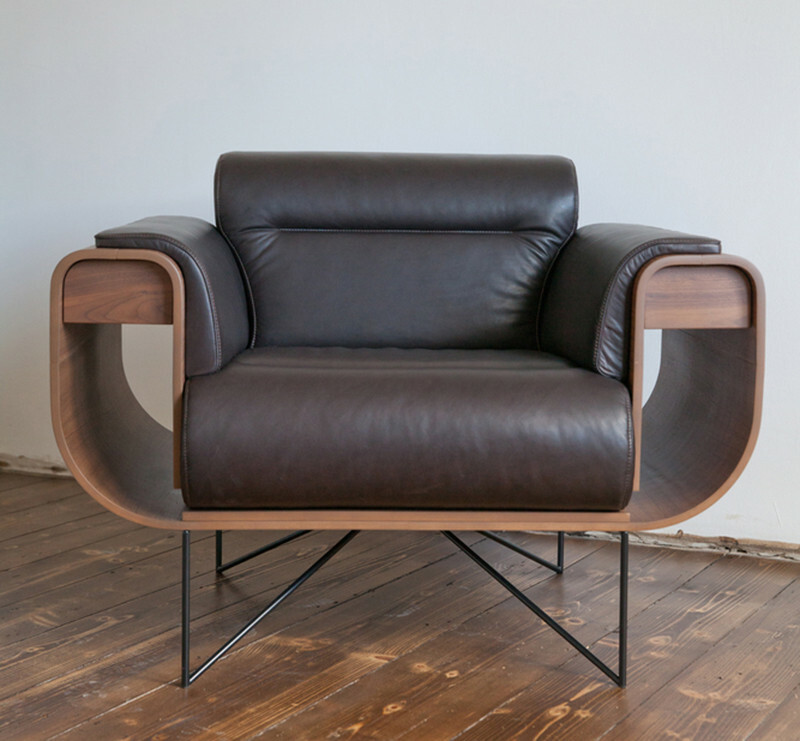 Chilean architect, Rodrigo Gonzalez, together with German lawyer, Alexander Sauer, conceived the idea of creating a smoker’s armchair for El Purista. 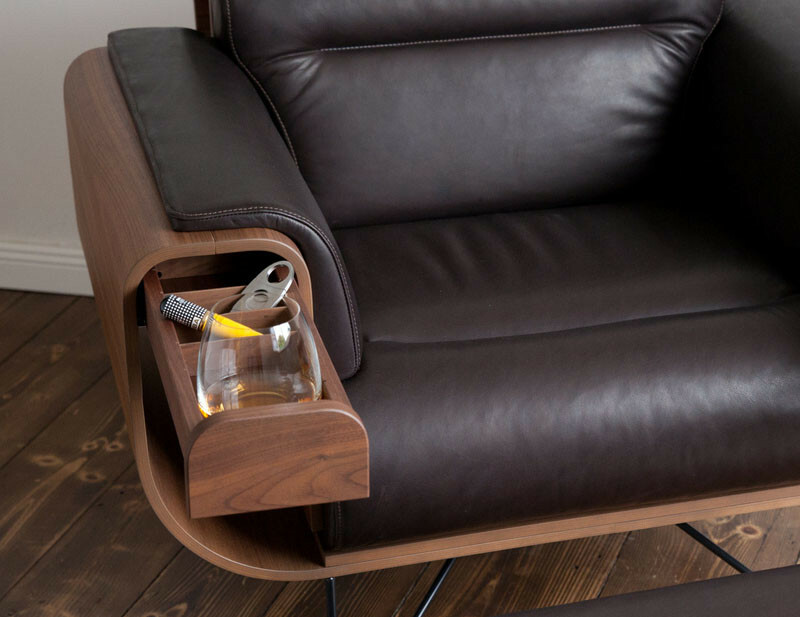 The armchair is made of molded beech and walnut wood, and offers the cigar aficionado a personal retreat to relax, smoke, and enjoy. 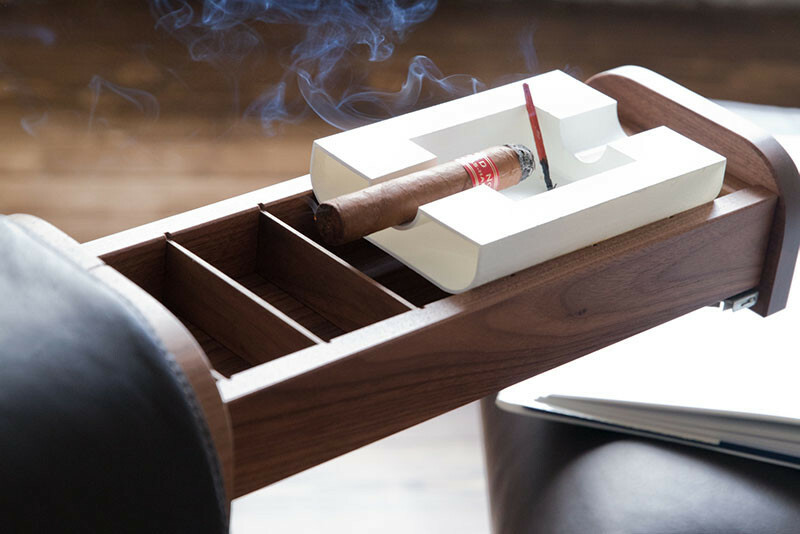 The small drawers hidden within the arms of the chair have enough room to hold a drink and cigar accessories. 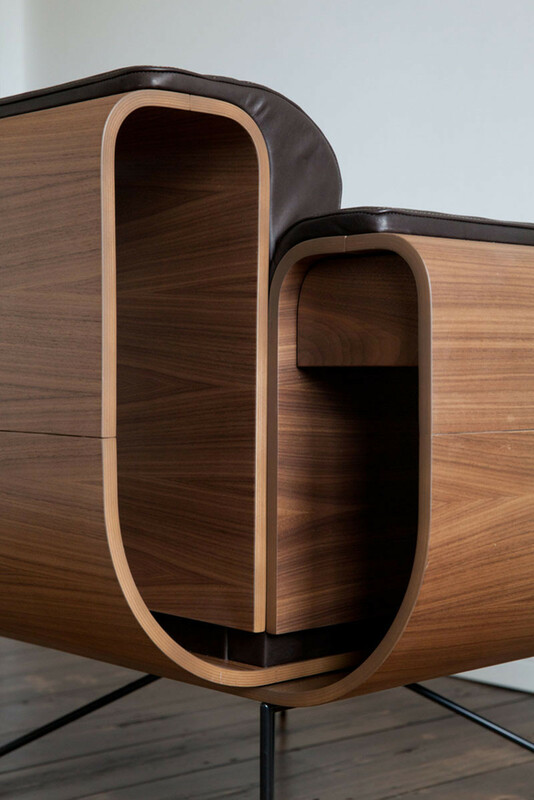 Here’s a close-up look at the woodwork on the chair.